There are many reasons for food and beverage companies to outsource their call center services. Any food or beverage company will be very connected to its customers simply because food is so important to daily living. 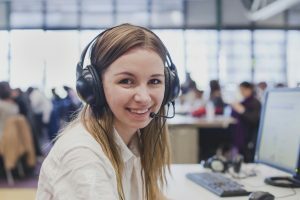 Working with an agency able to provide food and beverage call center outsourcing means that your company gets to better engage with customers and develop and maintain the type of relationship thatmgis needed to remain successful. 3C Contact Services offers a variety of services to help food and beverage companies looking to improve their customer service. And in an industry where customer interaction is so vital to the bottom line, we add value by having a team of trained agents ready to manage your call center. Potential customers, and even existing customers, will always have questions or inquiries about the food they are eating. Especially in today’s health-conscious society, customers want to know about whether the food they’re buying contains gluten or nuts. They may ask about the items on the menu before even visiting your establishment. What becomes important is that you are not only available to answer these questions but able to answer them accurately. An outsourced call center company like 3C Contact Services can help. You may have lost customers for a variety of reasons. Perhaps one of those was due to poor customer service. Regardless of the reason, out customer service agents may be able to win back lost customers. 3C Contact Services has agents who are trained to manage customer retention so you lose fewer customers and retain more. In order for customers to be loyal to your company, they need to be excited about your food or beverage products, and the team at 3C can make that happen. An outsourced call center doesn’t just have to provide inbound services. At 3C Contact Services, we provide outbound call services as well. This effort can play a key role in building your clientele base with much less hassle because we will also reach out to clients to obtain feedback. Food and beverage direct response marketing works well when you have an outsourced agency managing the communication. You will be able to reach the most targets, and the team at 3C Contact Services will ensure you get usable responses during your campaign. Working with a call center doesn’t mean ignoring other forms of communication. At 3C Contact Services, we effectively manage your e-mail messages as well, and we do so with the same expertise and attention to detail that we practice over the phone. Customers will receive personalized attention as we find solutions to their inquiries. Having the ability to speak to someone as soon as they land on the site is such a luxury. So much can be communicated to consumers on the spot, which makes it that much easier to convert them into customers. 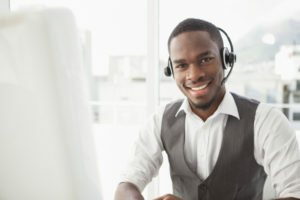 The live chat services offered by 3C Contact Services will get you results and do our part to boost your overall sales. As the leading provider of outsourced call center service, 3C Contact Services works closely with partners to create a customized customer experience strategy that is suited to both their business and budget. The opportunities that come with outsourcing your food and beverage call center services are worth the phone call. So why wait? Contact us right now to learn more about how 3C Contact Services can help your company.